If you have the skills — and your lender’s approval — you could do the repair or renovation work yourself on a property that qualifies for a Section 203(k) loan from the Federal Housing Administration (FHA). And, if you’d also like to be your own general contractor, you’ll need to be licensed to do the work. Otherwise, it’s important to not only find a contractor, but also work with one who is familiar with the requirements of a 203(k) project. Contractors must be thoroughly vetted. Lenders that offer 203(k) loans won’t close the deal with contractors whose license, insurance, references and 203(k) experience haven’t been verified or who don’t meet the standards required by the terms of the loan. Section 203(k) requirements can be complex. Mortgage loans are never simple, but 203(k) loans come with a special set of requirements. Only certain types of properties are eligible and not all types of repairs or additions can be paid for with 203(k) funds. Estimates and bids must be accurate. Unlike other types of home improvement funds that can be drawn upon for any use as needed, such as home equity lines of credit, costs for repairs to a 203(k) property must be determined by a final bid prior to the closing of the loan. While you may be willing to do the rehabilitation work yourself and gain a thorough understanding of the loans, hiring a contractor with 203(k) knowledge to manage your project is very likely to save you time, money and headaches. Tips for finding a qualified contractor. Verify credentials: This may be the most important task in selecting a general contractor. Working with a contractor whose liability insurance, workers compensation and license have been verified goes a long way toward protecting your property and your financial interests. Don’t take a contractor’s word on this, however — get proof that these credentials are in place and in effect. Check references: Put in the effort to not only get references, but verify them. A professional, reputable contractor will be more than happy to have you contact past customers to learn more about the quality of his or her work. Understand the estimate: A 203(k) contractor must satisfy the lender’s requirements for the structure of the bid, but it’s important for you to thoroughly understand where your loan money will go and how it will be allocated. The written bid should outline the scope of work in detail. Ask about warranties. Ask each contractor you’re interviewing to provide a document that describes what guarantees you will have regarding workmanship and defects, how long the warranty lasts, and exactly what is and isn’t covered. Find a 203(k) contractor with Contractor Connection. 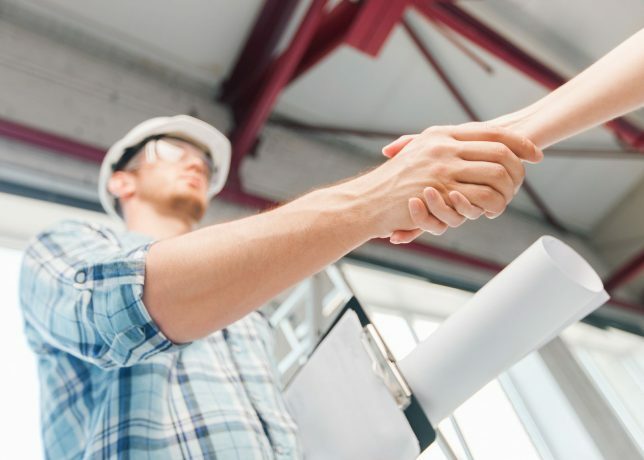 Contractor Connection has pre-qualified contractors ready to work with you. All of our contractors’ work is backed by an exclusive three-year workmanship warranty, and they’ve already been thoroughly vetted. Each has the experience, financial stability, proper licensing and insurance to perform 203(k) loan work. With our free matching service, you can find a contractor right in your area. Contact us to be matched to your 203(k) contractor now. Just enter your ZIP code at the top of the page to get started.